April had eyelash extensions done twice, but once they fell off, so did her own lashes! 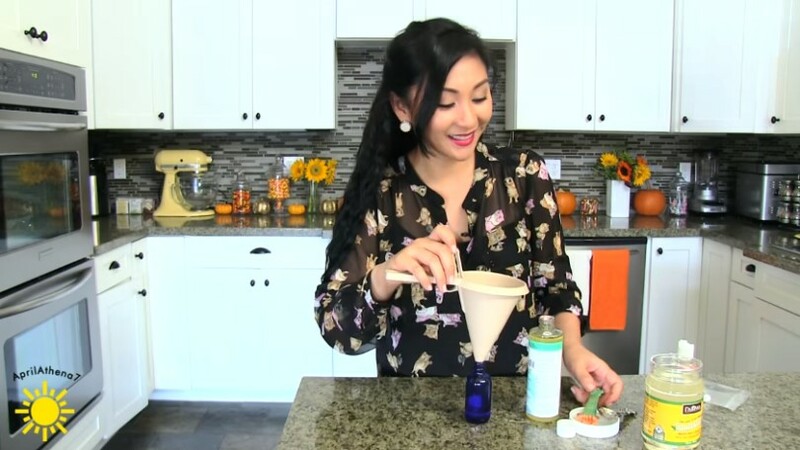 Much to her disappointment, the remaining ones were also left too thin, so she decided to make her own eyelash serum with natural ingredients. 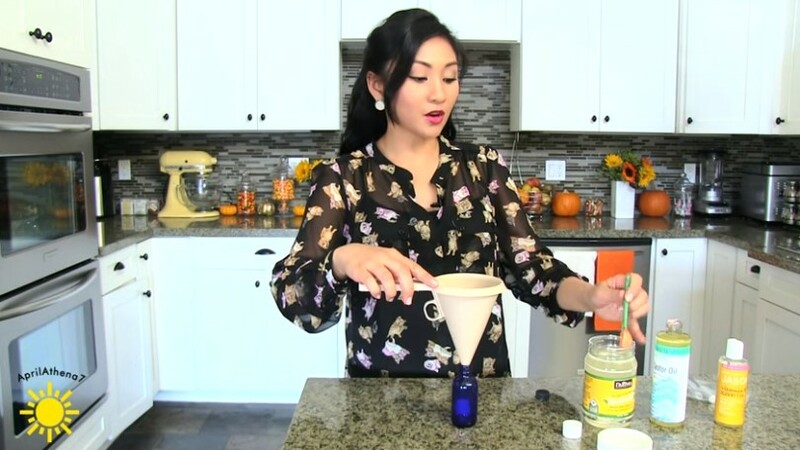 Keep a dark glass jar and a funnel placed somewhere safe, and start dropping the coconut oil. 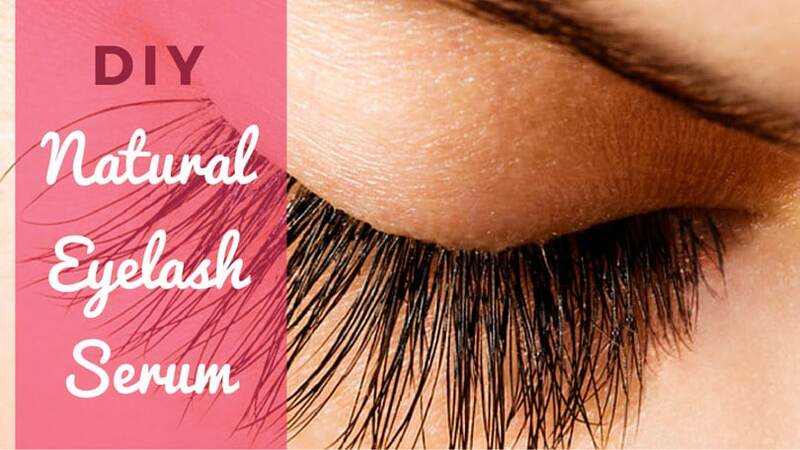 Add the castor oil, which is the main ingredient that will nourish and lengthen your lashes. 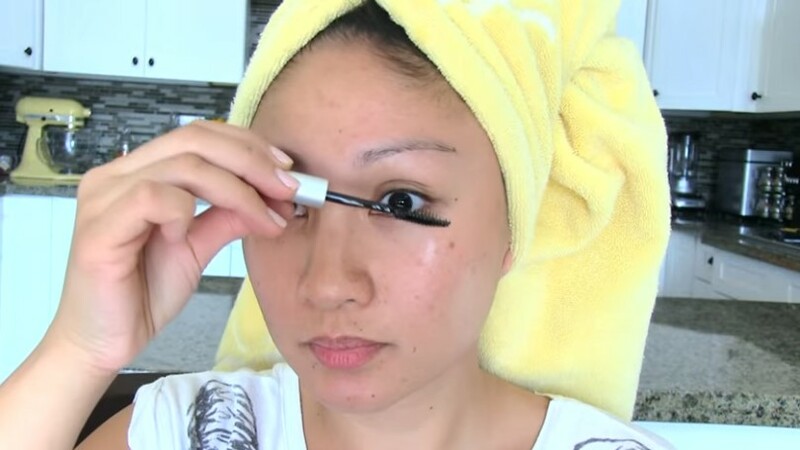 Drop the Vitamin E oil, which will help strengthen and thicken the lashes. Mix the oils in the jar. Keep the eyelash serum in the dark glass jar, wash and dry your face before going to bed, and use a mascara wand to apply it. 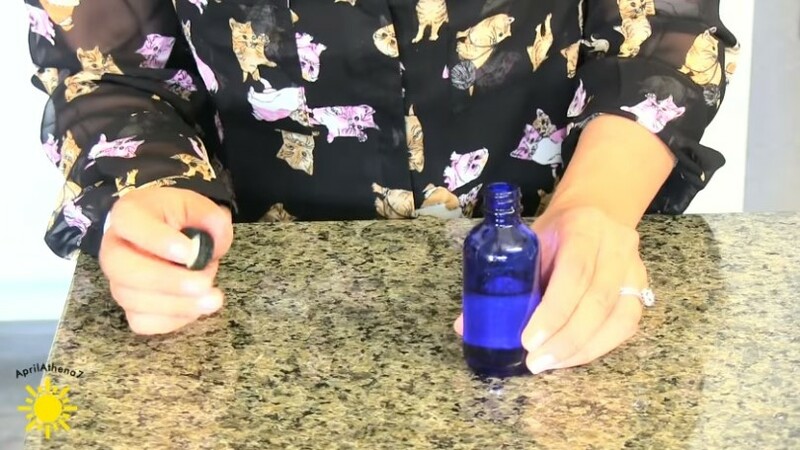 Additionally, you can also transfer the serum into an empty mascara container, though April recommends storing it in a jar because it’s easier for travelling. Castor oil can also be useful to thicken your eyebrows: rub a few drops of it into your eyebrows each night for a couple minutes before going to bed, and the differences will be noticeable after only a couple of weeks of regular massages! Castor oil for hair growth is known for accelerating the process of hair growth: all you have to do is massage slightly warmed up castor oil into your hair and scalp for it to improve the blood circulation to your follicles. Since it contains omega-6 fatty acids, it will also nourish your hair at the same time. If you have balding areas on your scalp, or you just want thicker hair, you can also massage a bit of castor oil into the affected area daily for five minutes. Castor oil is also effective to remove tiredness from around the eyes: before going to bed at night, just rub a little around your eyes (but be careful not to get it inside them). It will soak in overnight and leave you looking and feeling refreshed in the morning. Castor oil contains a substance known as ricin, made from residues after processing castor seeds into castor oil, which is a potent protein toxin. If ingested (whether orally, nasally, or intravenously,) ricin can get into the cell’s ribosomes and prevent protein synthesis, which makes it end up killing the cell. As little as one milligram of ricin can be fatal if ingested, inhaled, or injected. Additionally, there’s also no antidote to ricin intoxication, which is the reason it has been used even as a warfare agent. 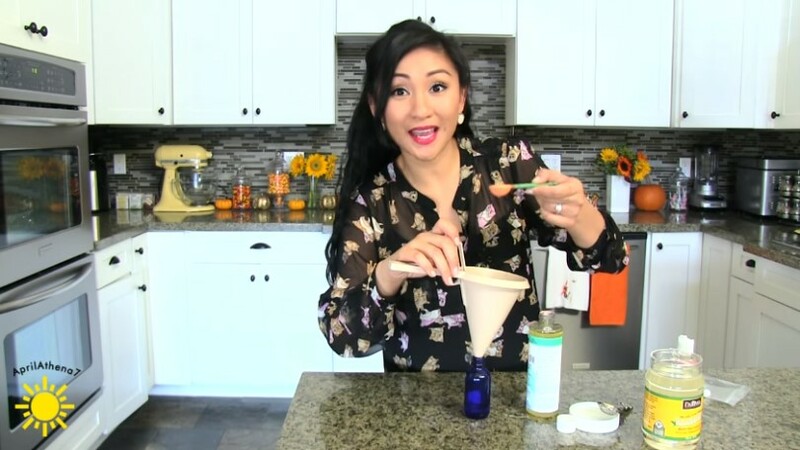 If you’re allergic to certain castor oil ingredients, you might experience other side effects that can happen even when it’s applied topically to skin or hair. Mild allergic side effects can include itching, rashes, redness, and stinging sensations, while the most severe castor oil side effects include swelling of the face and throat, dizziness, and breathing difficulties. It’s advised to conduct a patch test to find out whether someone is at risk: Put a small amount of castor oil on your forearm and wait for a day. If there is any type of reaction, such as a slight itching or redness, you should not use castor oil because you’d be at risk of experiencing allergic side effects. Having a horrible day as I removed my eyelash extensions. I did this with steam and olive oil. It was pain staking and not to mention I have very few lashes left and they are considerably shorter. To my horror the lady who put on my extensions had several extensions glued to 1 little lash!! NEVER again. I am going to try the DIY and see how this works for me. Praying I get some lashes back.